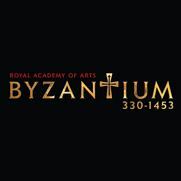 London's Royal Academy of Arts commissioned Cappella Romana for a new compilation CD for its mega-exhibition, Byzantium: 330-1453. This "greatest hits" title features music from four Cappella Romana CDs: Epiphany, The Fall of Constantinople, Byzantium in Rome, and Music of Byzantium. [ 2 ] Festal Trisagion "As many of you as have been baptized"
[ 4 ] Kontakion "To you my Champion"